Cars rush past the intersection of Dempster Street and Ashland Avenue. City staff and residents are trying to install a crosswalk at the intersection. City staff and residents are running into roadblocks when it comes to installing crosswalks on some busy Evanston roads. Several Evanston residents and staff have twice sought to install crosswalks on Dempster Street, which is under the control of the Illinois Department of Transportation, said city manager Wally Bobkiewicz. One was at the intersection of Dewey Avenue and Dempster Street and the other at the intersection of Ashland Avenue and Dempster Street. The first request was turned down by IDOT, and the second has yet to receive a response. At an Administration and Public Works Committee meeting Monday, Ald. Donald Wilson (4th), whose ward borders Ashland Avenue, said the area received a lot of foot traffic with its proximity to Evanston Township High School and Penny Park. The city has typically heard negative responses from IDOT when trying to install crosswalks, Bobkiewicz said. At the intersection of Central Street and Prairie Avenue, a crosswalk was only approved after “bump-outs” — in which the curb is extended further into the road — were installed. Requests to put additional crosswalks in on Asbury Avenue have been denied as well, Director of Public Works Dave Stoneback said. “They have some pretty stringent requirements they look at to make sure you’re doing things right,” he said. Crosswalks are denied for various reasons, Stoneback said, including high traffic speeds, poor visibility for drivers and distances between cars on the road. Dempster Street was considered an unsafe crossing because cars on the road drive closely to each other, Stoneback said. 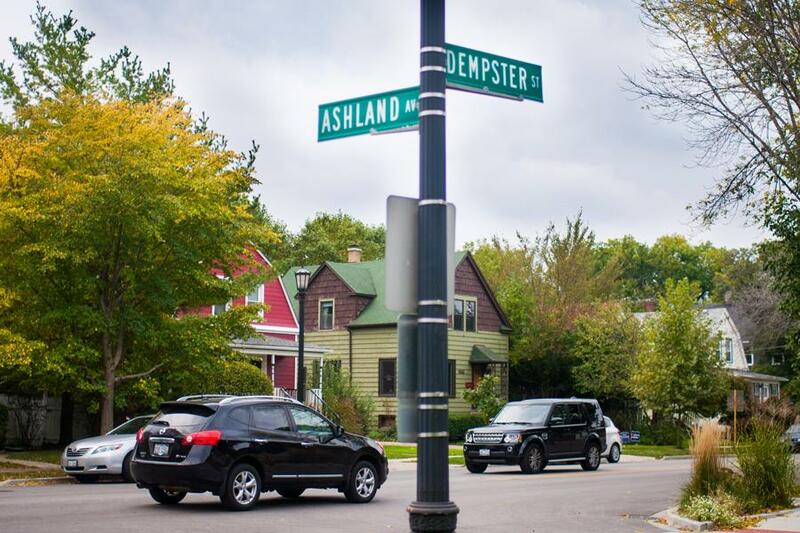 The city is proposing to building bump-outs at the intersection of Ashland Avenue and Dempster Street to make the intersection safer for pedestrian crossing. Bump-outs are typically built out into the parking lane and decrease the distance pedestrians have to travel across traffic, Stoneback said. “We’re hoping that that would be more acceptable to IDOT,” he said. Dempster Street currently only has two intersections at Dodge and Asbury avenues, which are 2,400 feet apart, Stoneback said. Ald. Melissa Wynne (3rd) said at the meeting she was concerned drivers would not notice the crosswalk. The city should put in some sort of flashing lights on the signage at the crosswalk, Wynne said.